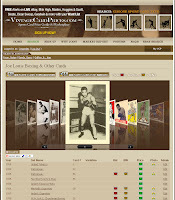 VintageCardPrices.com is the Authoritative Real-Time Sports Card Price Guide based only on historical sales of graded cards. 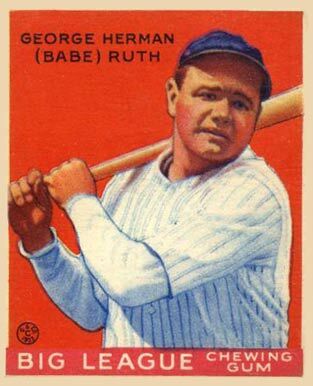 Top selling card in the past month was a 1933 Goudey Babe Ruth card #149 graded PSA 8.5 which sold for $85,912.50 (including buyers premium) at Legendary Auctions. Find historical values for this card on Babe Ruth's 1933 Goudey #149 card profile page here along with thousands of other historical values for cards at VintageCardPrices.com. As reported on the Vintage Card Prices web site, a 1917 Boston Store Joe Jackson baseball card #82 graded by PSA as a 7 has sold for $31,598.10. This is a rare card that does not sell often and is extremely rare to find in such good condition. It is graded a 7 (from a grade range of 1-10) by PSA, Professional Sports Authenticator. PSA is one of the top professional graders in the sports card industry. The card was sold at the Goodwin Auction house. This is the most expensive card for the month of September 2009. More free values can be found on the web site's market report page. 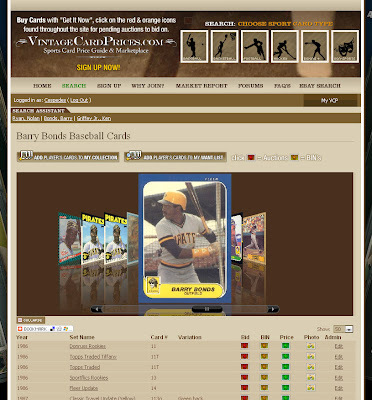 The Vintage Card Prices web site offers a free tool whereby you can add this card, or any card for that matter, to your "Want List" to be notified when a card is in auction. As seen on the free market report page at VintageCardPrices.com, an 1887 Jim Donahue baseball card #13 belonging to the "Kalamazoo Bats" set and graded as an SGC 30 sold for $84,000 (including buyers premium) at Legendary Auctions. It is the most expensive baseball card sold for the month of August 2009. Kalamazoo Bats was a cigarrette brand in the late 1800's. The set was published by Charles Gross & Co. and is one of the rarest sets in existence. You can view the set with photos here: 1887 Kalamazoo Bats Vintage Baseball Card Set. Joseph Louis Barrow was born on May 13th 1914 and is widely regarded as the greatest heavyweight boxer of all time. Louis is very much thought of as the first African American hero of the United States as he projected anti-Nazi sentiment during World War II.